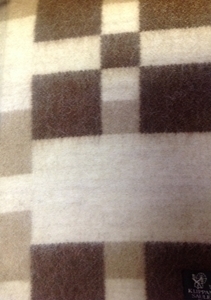 Twin sized wool blanket, 30% Alpaca wool, 50% New Zealand wool, 20% Cotton made in Latvia by Klippan Saule Riga manufacturer. 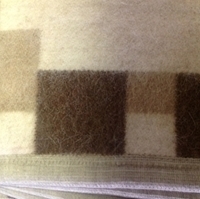 Manufactured using a 30% Alpaca wool, 50% New Zealand wool and 20% Cotton. The ultimate bedding option that will give update any room by giving a splash of vibrant color and warmth.